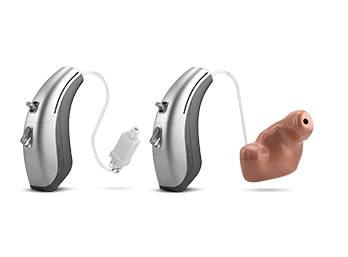 Widex Hearing Aids | Visit Us Today For High Definition Hearing! Founded in 1956, Widex is a Danish manufacturer of hearing aids known for their trademark Widex Sound. The Widex Sound provides people with hearing loss access to a full spectrum of sounds, amplifying the softest sounds and making sure that the loudest ones are comfortable. Widex is committed to advancing hearing aid technology and was the first to develop a digital in-the-ear hearing aid. In 2012, Widex received the European Inventor Award for their research and innovation with hearing devices. This hearing aid evolves in real life to keep getting smarter. Interactive options help you intuitively shape your listening experience, putting you in full control if you want to be. EVOKE automatically makes hearing aid adjustments suited to your needs and your environment. This ensures great sound for a busy life has never been easier. Widex SoundSense Technology means that every time you use EVOKE, it evolves – just as you’d expect from a smart hearing aid. That’s because when you and others personalize your listening experience, EVOKE learns from different situations. We use that anonymous data to create a better listening experience for everyone. So the great hearing aid you buy today evolves to be even better tomorrow! 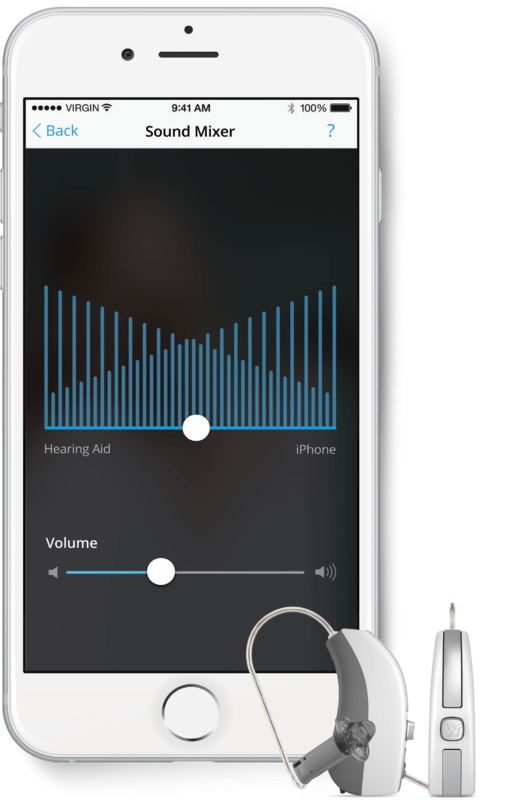 BEYOND allows wearers to stream music, media, and phone calls from their iPhones (and Androids) directly to their hearing aids with a convenient and streamlined app. Through the BEYOND App, wearers experience a high level of personalization to ensure the best sound to meet their specific needs. With the option to choose from a catalog of listening preferences, wearers may adjust sound settings and program templates that combine the elements that assist their hearing in a variety of different environments. Wearers may adjust the volume on each hearing aid individually, customize clarity of speech and comfort, equalize high, mid, and low frequency bands, mix sounds from both hearing aids, and select directionality of microphones. The Unique hearing aid is built for people with active lifestyles. This is a low maintenance, fully automated device that provides a full spectrum of sound in any environment. The Unique is a digital hearing aid that processes sound quickly and makes automatic adjustments for a seamless listening experience. It provides comfort for wearers in a variety of settings, by reducing wind noise and distracting background noise. Unique hearing aids are available the following styles: completely-in-canal micro, completely-in-canal, in-the-ear, receiver-in-canal, and behind-the-ear. The Dream hearing aid provides wearers with a true-to-life sound without distortion. The listening experience for Dream wearers is more detailed and well-rounded, with improved speech recognition in noisy environments and special programs designed for listening to music and media. With the Dream, speech recognition has improved by 21% in loud noise. True-Input Technology provides wearers with a wider range of sound. Despite the technological advances with the Dream, it boasts a 20% longer battery life than other hearing aids that perform at the same level. Dream hearing aids are available in the following styles: completely-in-canal micro, completely-in-canal, in-the-ear, receiver-in-canal, and behind-the-ear. To educate and assist the limbic system to alter its negative interpretation of tinnitus via cognitive and behavioral intervention. To stimulate the ears and brain and to prevent over compensation. Known as Zen tones, designed to relax and provide acoustic stimulation. Behavioral exercises and sleep management strategies. Widex offers the Cros, a hearing aid designed for single-sided deafness, which balances out sound received from both the hearing ear and sound processed by the device. The Cros improves speech recognition and spatial awareness for single-sided deafness. Additionally, Widex offers assistive listening devices Dex and Scola. 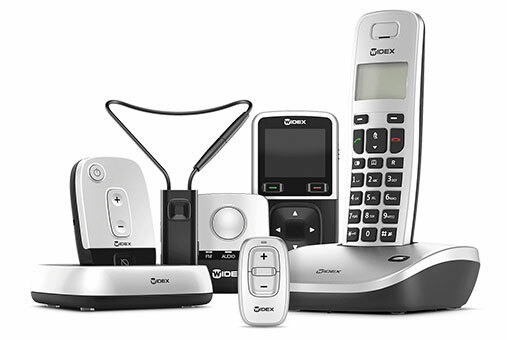 Dex is a family of personal amplifiers that allow wearers to connect their hearing aids to phones and hearing loop systems. Scola is an FM assistive listening system that delivers amplified sounds through radio waves; it is designed specifically to assist students in academic settings. Interested in Widex Hearing Aids?